A common Summoning condition is a Summoning condition that applies to all forms of Summoning, including Normal Summon, Flip Summon, and Special Summon. 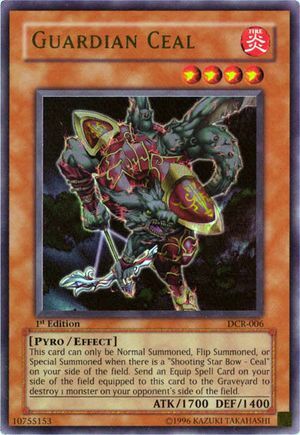 A monster with this restriction can still be freely Set (and then potentially flipped by an effect or attack), but cannot be Summoned unless the condition is met. 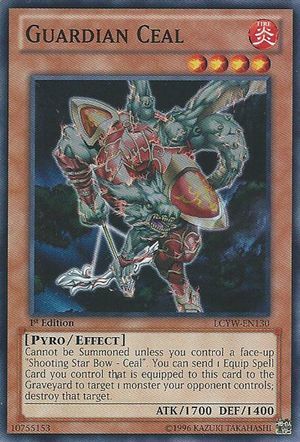 Many "Guardian" monsters have this condition, which prevents them from being Summoned unless you also control their respective Equip Card. This page was last edited on 28 August 2016, at 15:32.